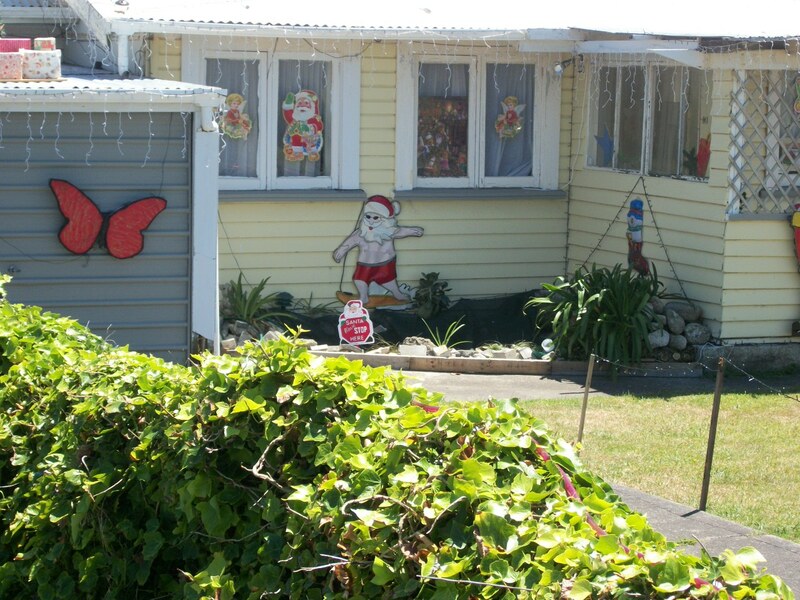 One of the adjustments of living in New Zealand so far has been seeing Christmas decorations around town in the middle of the summer. 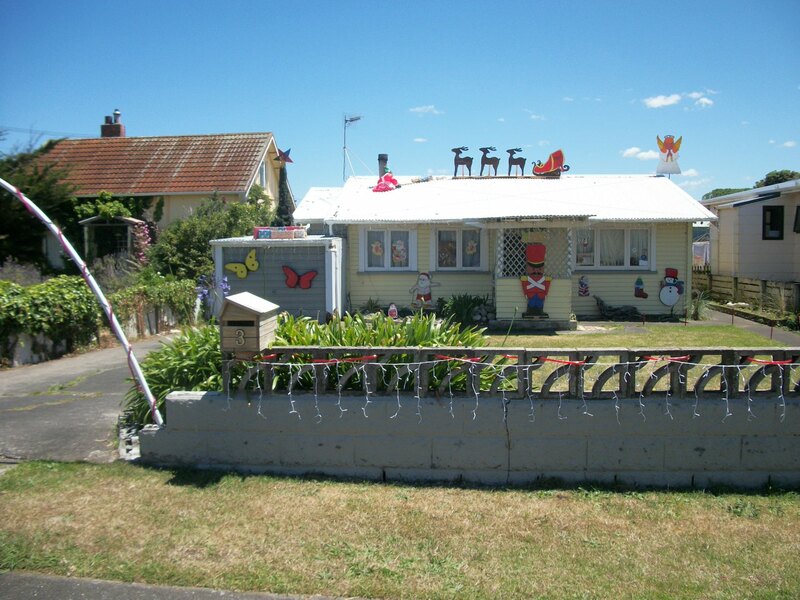 It does seem that far fewer Kiwi households decorate like they do in the states, but there are some here who really embrace the holiday spirit. These pictures are from a house down the road from Dani and Nelson. There are some angels, reindeer and sled, a snowman (strange when it’s 25 degrees out) and, my favorite, a surfing Santa Claus. In our house, we’ve drawn holiday inspiration from the beach. Nelson had conveniently dragged a large, free standing piece of driftwood up from the ocean before we arrived. I’m not sure exactly what he had in mind for this furniture sized piece of wood, but it served our purposes beautifully. We went back to the beach and retrieved several more driftwood sticks then threaded them so that they would hang from Nelson’s makeshift tree trunk. 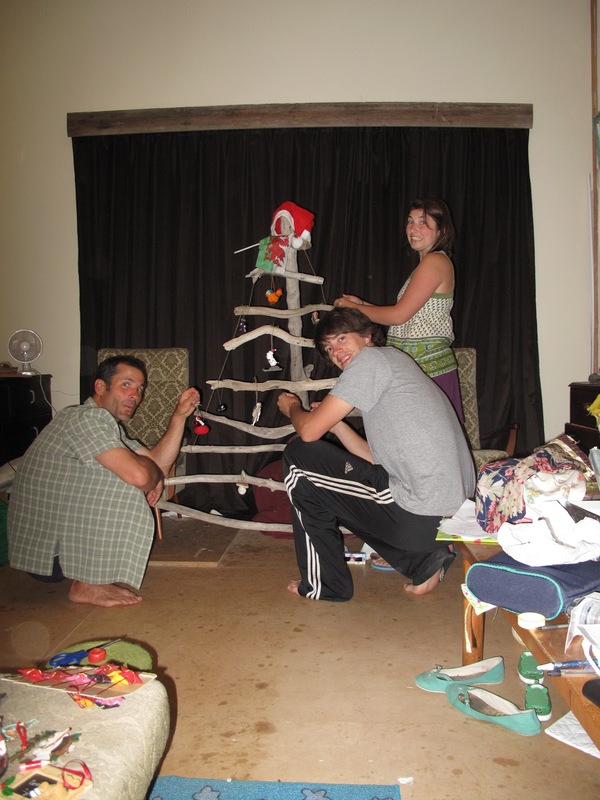 All that was left was to decorate our beachy Christmas tree! Not wanting to culturally exclude our Jewish residents, Molly and, perhaps, Billy T the cat, I also took the opportunity while at the beach to grab a piece that would work as a menorah. Drilling nine holes into the wood was an easy operation and, just like that, we were celebrating Chanukah! 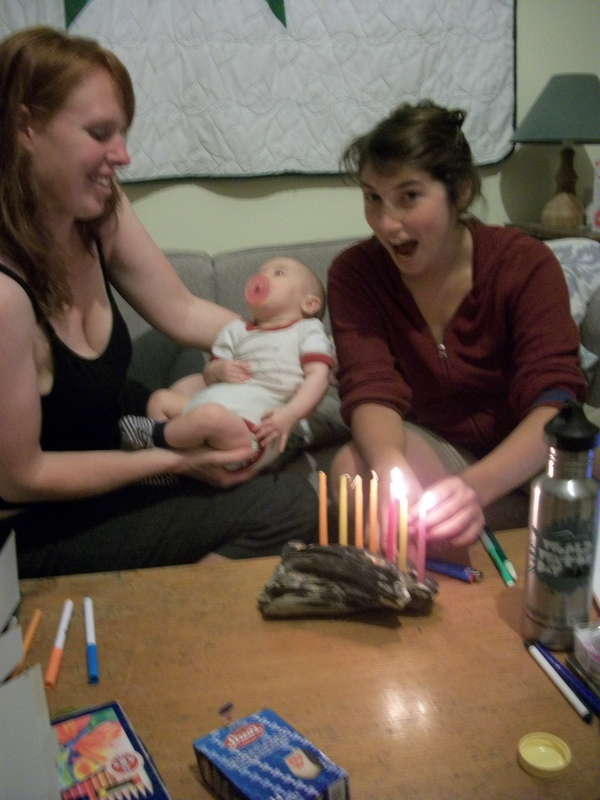 The only drawback of this tasteful menorah is that it does tend to catch on fire when the candles burn too low. 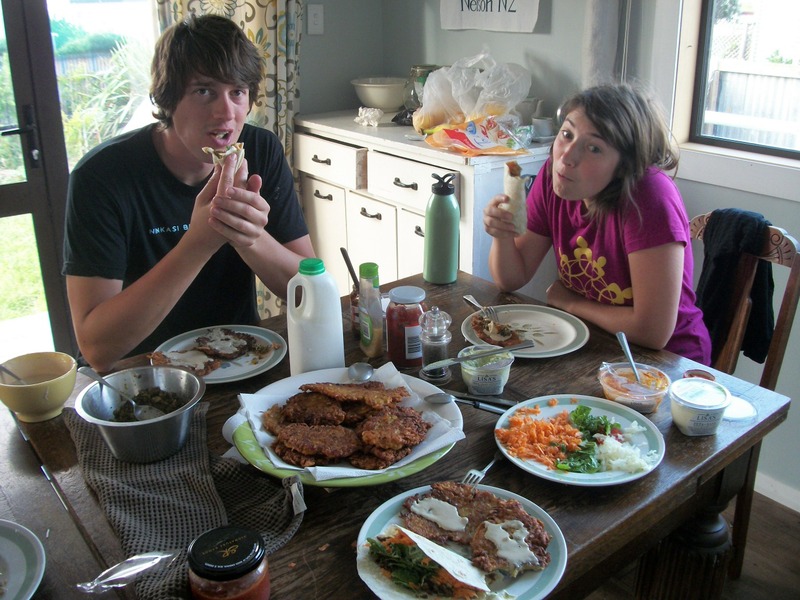 Nelson was glad when Chanukah was over so he could go to bed without fear of his house burning down… Molly and I also made a giant batch of latkes and broad bean felafel for the holiday. 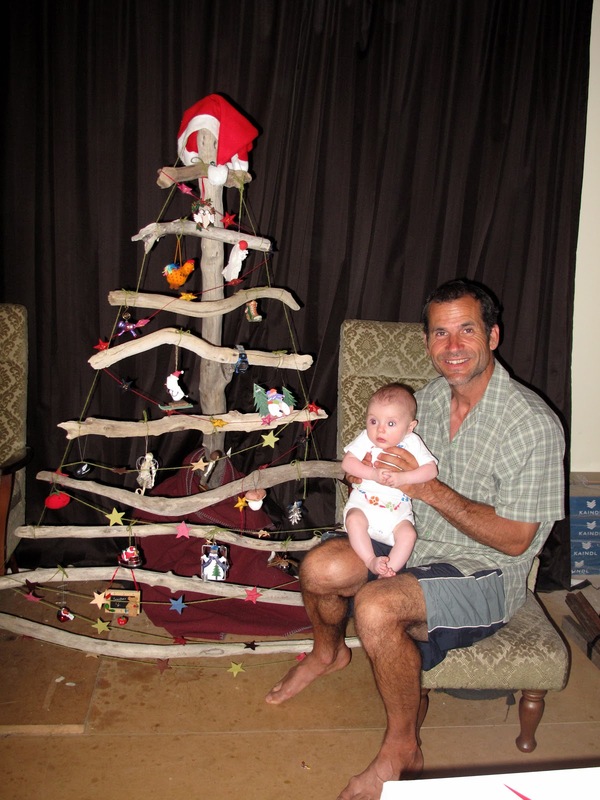 A very beachy Christmas and Chanukah to everyone!